I just got back from a lovely two weeks in Europe. 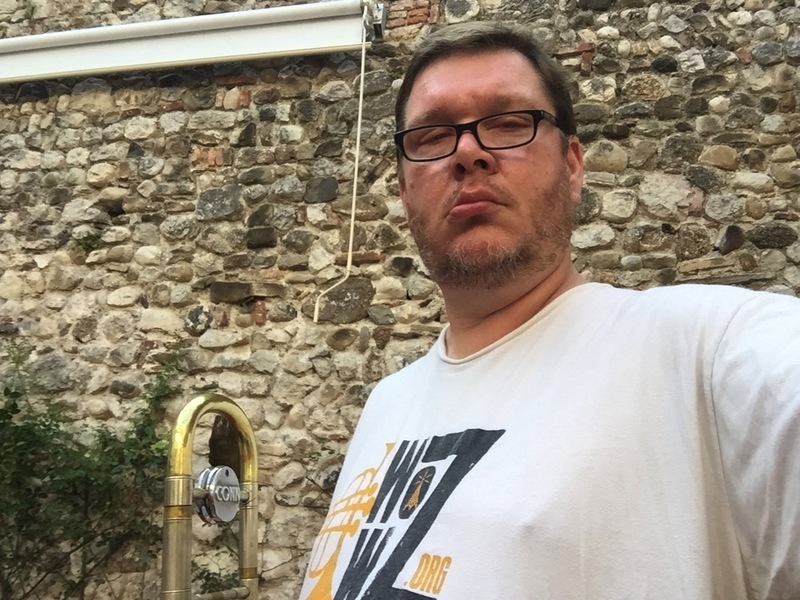 The main purpose pf the trip was for a tour in Italy with Marcello Benetti’s Shuffled Quartet, but I worked in a trip to Switzerland for the International Society for Improvised Music 2015 Conference. Our regular woodwind collaborator, Rex Gregory, could not make the trip because he is busy being a new father, so we had Dan Kinzleman on clarinet, flute, and tenor sax. Dan is an American musician who has lived in Italy for the last ten years or so. He is a wonderful musician, a fun hang, and a great road comrade. We were happy to have him with us. It was also nice to have two people who spoke the language of Italian sound engineers at sound checks. 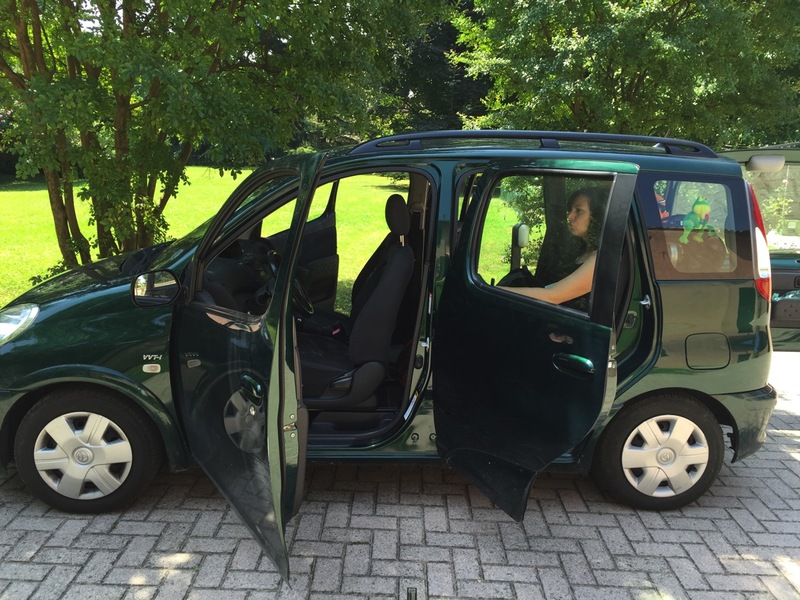 We did most of the touring in Marcello’s Toyota Yaris Versa. Somehow we all fit, with the stuff. 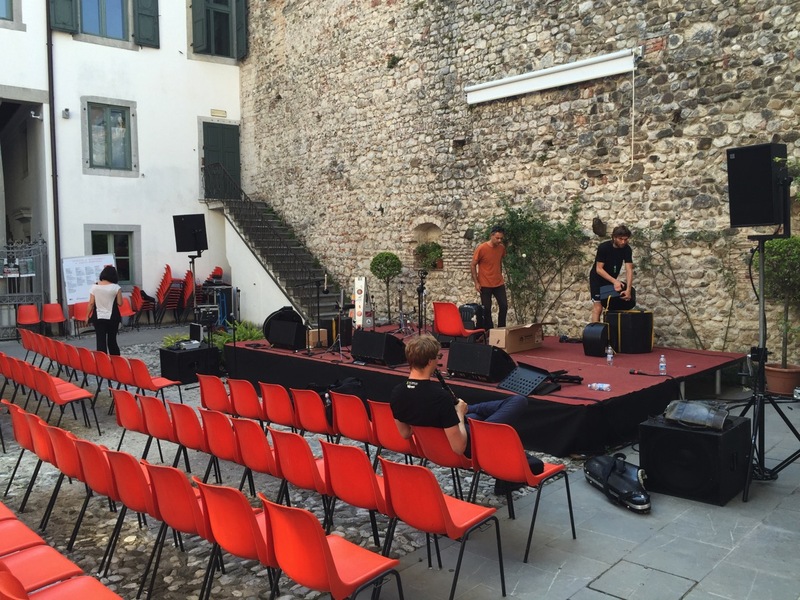 Setting up for soundcheck in Udine, for our performance at Udin&Jazz. The concert space was lovely and the sound was very good. The festival also had great hospitality. 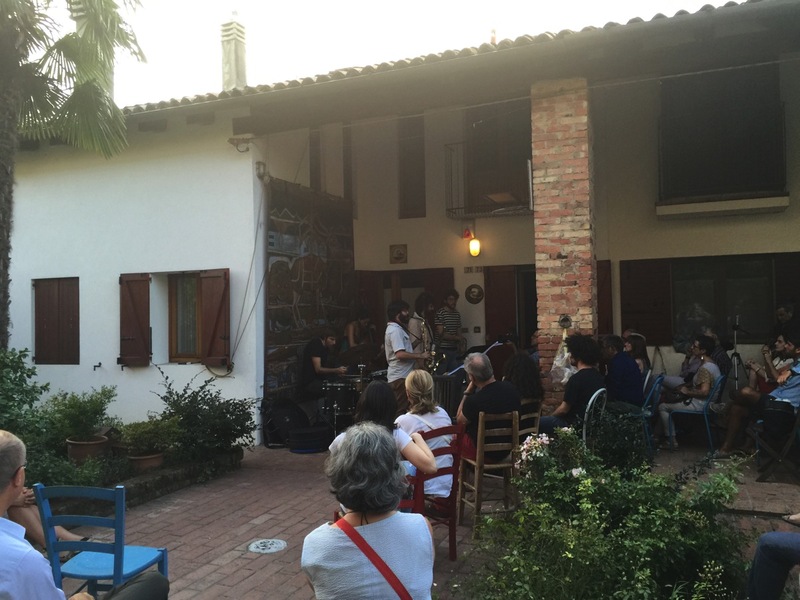 The last gig of the tour was in Rovigo for the summer jazz series presented by the conservatory there. We shared the concert with the quartet of Massimo Morganti, who teaches at the conservatory. 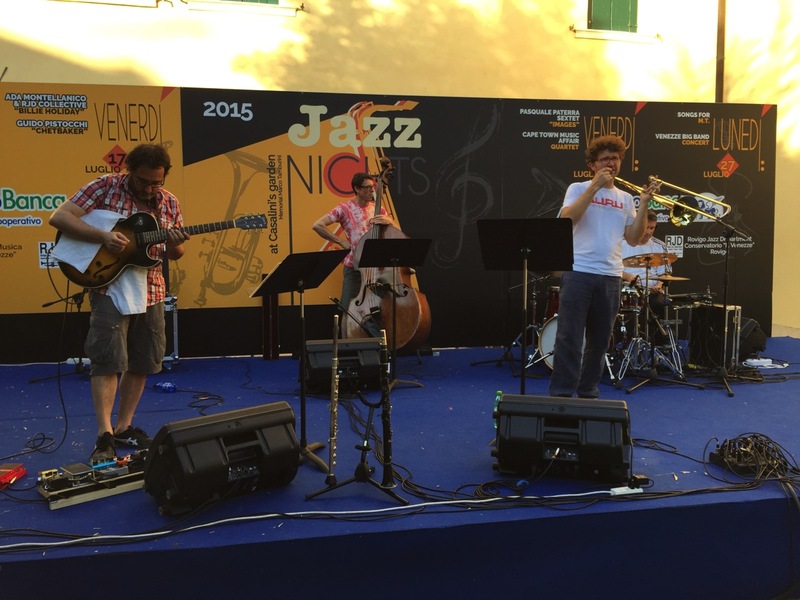 This pic is Massimo’s band at sound check. 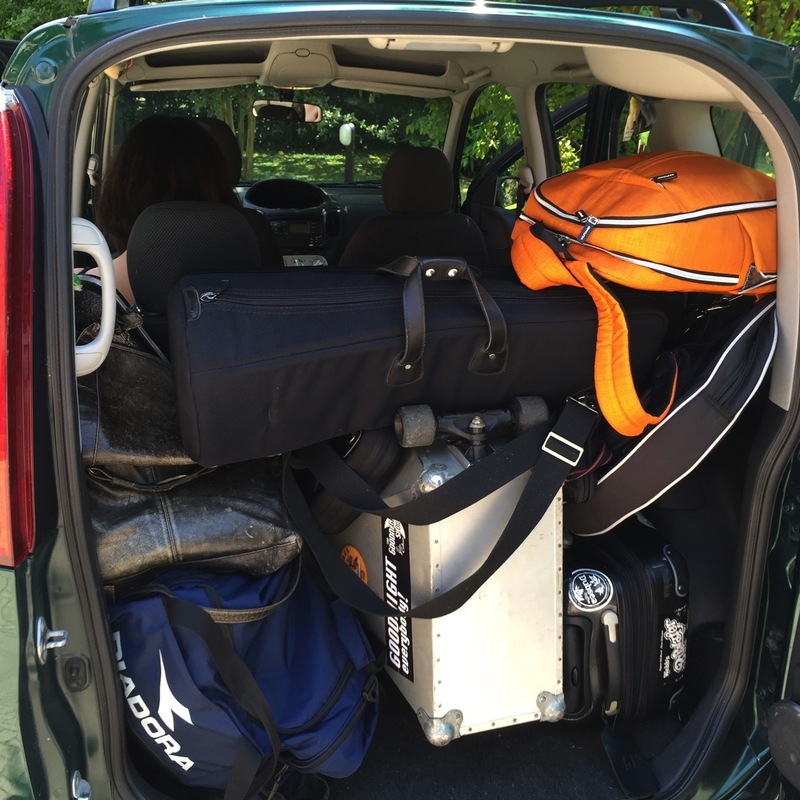 After the gig in Rovigo, Marcello and I drove overnight to Chateau-D’Oex, Switzerland for the ISIM Conference. The over night drive was crazy, but when you arrive to this view from your hotel room, it feels less stupid. 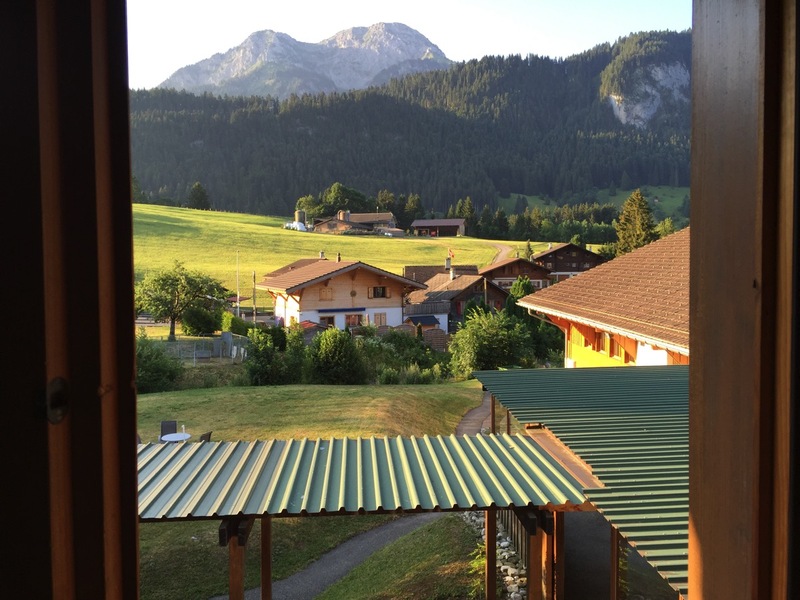 This tiny alpine village seemed like an odd choice for the location of this year’s conference, but the setting was lovely, and the hosts were great. There were some good conversations about diversity, and community building. I presented on improvisational structures I use with my student laptop orchestra, and I really enjoyed Jeff Morris’s presentation on his weblogmusic.org project. I also got the chance to hear a great house concert before I came back home. The band was led by Filippo Vignato, and they did his arrangements of Albert Manglesdorf’s music. The band included Piero Bittolo Bon, who has performed at Open Ears, and a great young bass player named Rosa Brunello. It was a great trip. We made some good music, and I met or reconnected with a bunch of great people. 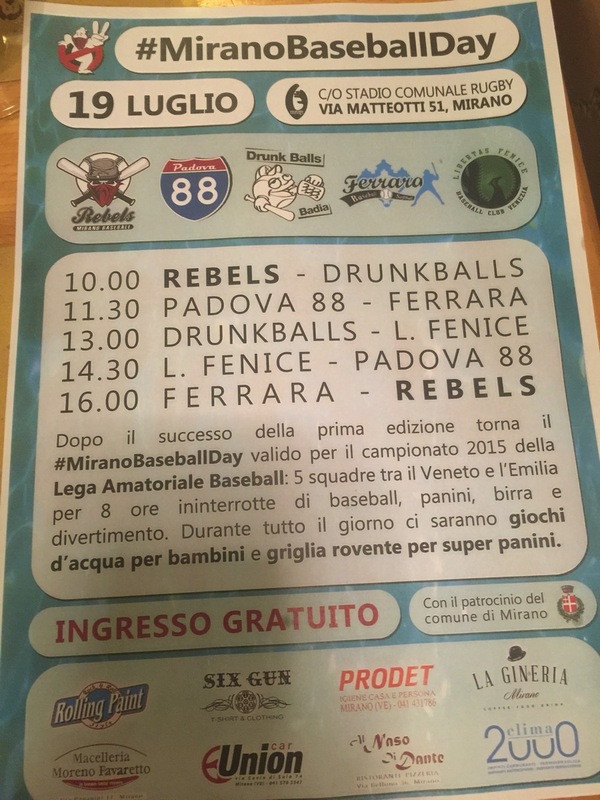 I am happy to be home, but a touch sad that I left before I could experience Mirano Baseball Day. This entry was posted in Music, Personal, Recommendations/Reviews, Tour Diary by Jeff Albert. Bookmark the permalink.